Bob Vetere is the President and CEO of the American Pet Products Association and serves as President of the Human Animal Bond Research Initiative (HABRI). Vetere has lead several pet industry wide initiatives including the formation of HABRI, the Pet Leadership Council (PLC) to strengthen and advance the pet industry and Pets Add Life (PAL), a national social media campaign promoting responsible pet ownership. In his many roles, Vetere has made his mark in the industry and is often featured as spokesperson with guest columns in publications including Pet Business and Pet Product News and television appearances on such acclaimed shows as CNNFN, ABC’s World News Tonight, and CNBC. He has also been quoted in leading print outlets including USA Today and The Wall Street Journal. 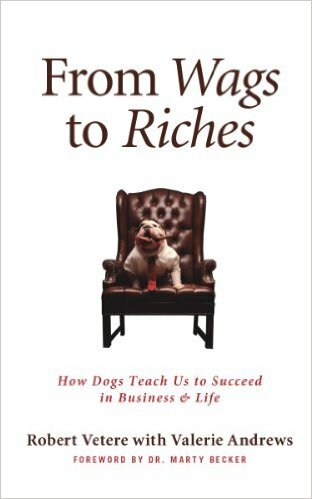 He is also author of the book From Wags to Riches: How Dogs Teach Us to Succeed in Business & Life. Responsible for APPA, HABRI, PLC and PAL, Vetere aligns industry goals and works in collaboration with members, Board of Directors, staff and other industry associations to support and further the interests and success of the pet industry. Along with APPA’s National Pet Owners Survey with the most comprehensive pet owner statistics, Vetere also compiles annual industry spending figures and identifies and forecasts pet industry trends. In 2016, Vetere was the recipient of the Rolf C. Hagen Hall of Fame Award for his outstanding and lasting contributions to the pet industry. Before joining APPA over a decade ago, Bob served as senior vice president, administration, general counsel and secretary at Oil-Dri Corporation of America, a publicly traded $175 million international developer, manufacturer and marketer of brand name and private label products for pets, fluids purification and agriculture. Bob’s management responsibilities encompassed the areas of human resources, facilities management, law, environmental health and safety, product compliance, payroll, corporate safety, permitting and government relations. His achievements at Oil-Dri range from restructuring the Law and Human Resource departments to successfully negotiating a new labor contract with the United Steelworkers Union. Prior to his position at Oil-Dri, Bob spent 25 years at First Brands Corporation, a $1.2 billion publicly traded manufacturer and marketer of consumer products, including GLAD Wrap and Bags, Prestone Anti-Freeze, and Scoop Away and Jonny Cat Pet Litter. While at First Brands Corporation, Bob held a number of positions including associate general counsel/director of government relations, senior corporate counsel, corporate director of professional development and senior corporate staff engineer. Bob earned a Juris Doctor from Seton Hall School of Law, an M.B.A. from Rensselaer Polytechnic Institute, and a B.S. in Management Science, also from R.P.I. He is a member of the Connecticut Bar Association, the Illinois State Bar Association, the New Jersey State Bar Association, and the American Society of Association Executives. Bob and his wife Brenda reside in South Windsor and Stamford, Connecticut. In his free time, Bob enjoys catching Giants football games with his two sons. In 2011, Bob Vetere added 'author' to his list of accomplishments. In his book, From Wags to Riches: How Dogs Teach Us to Succeed in Business & Life ,Vetere—who boasts more than 20 years of experience teaching management seminars for Fortune 500s such as Wal-Mart, PetSmart, and Proctor & Gamble—explains how man’s best friend can teach us about building stronger, more collaborative organizations. Studying the human-animal bond with Purdue University researchers, Vetere demonstrates that canine-like qualities, such as sharing responsibility among pack members and tuning into each other’s needs and emotions by observing facial expressions and body cues, can dramatically improve your personal effectiveness and ability to lead. With foreword by Good Morning America's resident Veterinarian, Dr. Marty Becker, and endorsed by AnimalPlanet’s Victoria Stilwell, From Wags to Riches also includes a leadership quiz, which helps readers identify which type of dog their leadership style resembles. Vetere also provides examples of famous CEOs and executives for each type and advises readers on their strengths and weaknesses of each style. From Wags to Riches features interviews from animal-loving CEOs and provides practical tips from animal behavior experts to boost creativity and build an environment where people feel free to innovate. From correcting early to offering rewards to leading by example, Vetere explores how our partnerships with dogs provide an intriguing model for teamwork in the corporate world.